ACEC California will honor four San Diego firms at their 2015 Engineering Excellence Awards Banquet, for their work on public improvement projects in the San Diego region. The Conrad Prebys Aztec Student Union Building at San Diego State University – P2S Engineering, Inc.
P2S Engineering, Inc. was recognized for their work on the Conrad Prebys Aztec Student Union Building at San Diego State University. 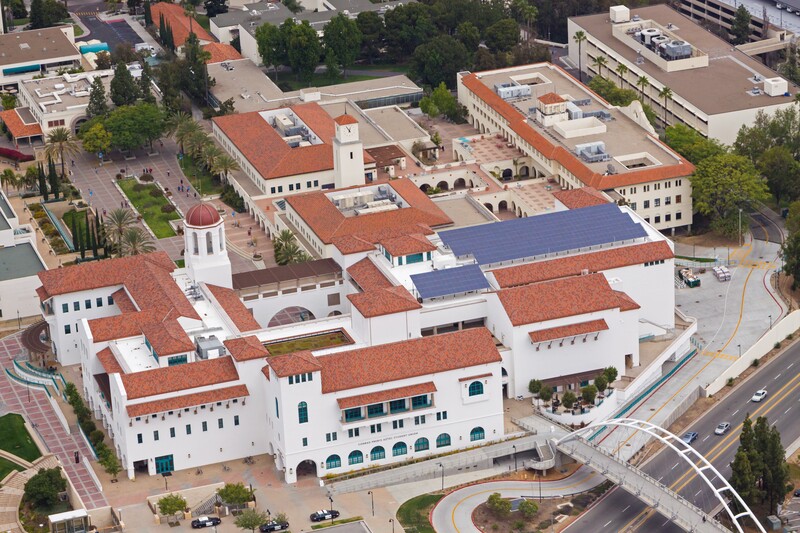 Selected as the Mechanical, Electrical and Plumbing and Telecommunications design partner for the Student Union, P2S’ passion for green designed was showcased in their development of a range of innovative and energy-saving systems for what is on track to become the largest Leadership in Energy and Environmental Design (LEED)® Platinum education building in California. The new Student Union is a three-story, 202,000 square foot building housing associated student offices, a fitness and recreation center, a 1,200 seat lecture-style hall, a 300 seat theater, and multiple dining areas and serves more than 30,000 students. 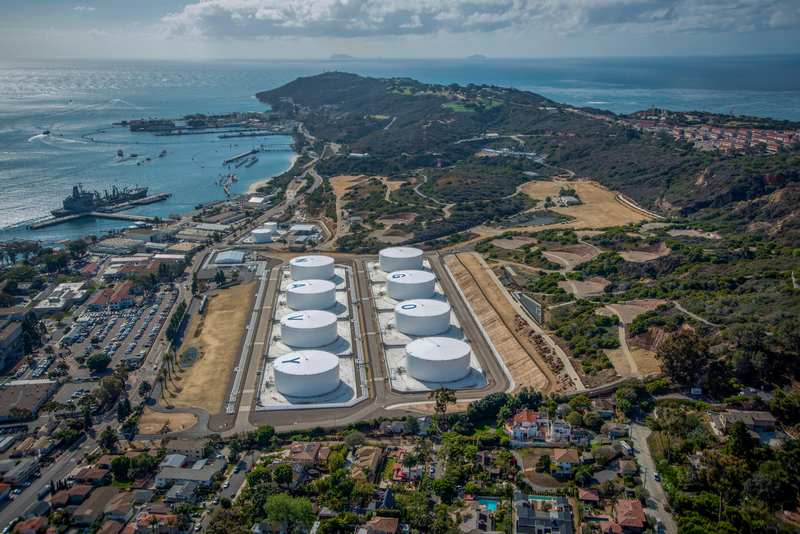 URS Corporation received an Honor Award and Burns & McDonnell received ACEC California’s Merit Award for their work on the San Diego International Airport’s (SDIA) Green Build Expansion and the NAVSUP Fleet Logistics Center San Diego, Naval Base Point Loma fuel terminal respectively. The San Diego International Airport’s (SDIA) $907 million Green Build Expansion is the largest project in SDIA’s history and has improved airport circulation and air travel for San Diego’s 17 million annual passengers. The improvements also increase the region’s ability to engage in world trade. URS Corporation was the Designer of Record for the $227 million LEED® Gold certified Landside Project and the lead landscape architect and lead mechanical/plumbing engineer for the LEED® Platinum certified Terminal Expansion Project. The Terminal Expansion Project made SDIA the first airport in the world to achieve the honor of LEED® Platinum certification. Burns & McDonnell was also recognized for their design and construction support services to rebuild and clean up the NAVSUP Fleet Logistics Center San Diego, Naval Base Point Loma fuel terminal, which handles more than 323 million gallons of fuel annually to support the U.S. Navy’s operations in the eastern Pacific. The project met LEED® Silver certification standards – the first of its kind to do so – while developing a new facility within a smaller footprint and keeping the critical fuel depot in full operation during construction. As part of the McCarthy design-build team, Nasland Engineering of San Diego received ACEC California’s Small Firm award for completing civil engineering and surveying services for the $49.9 million San Diego County Administration Center Waterfront Park project. 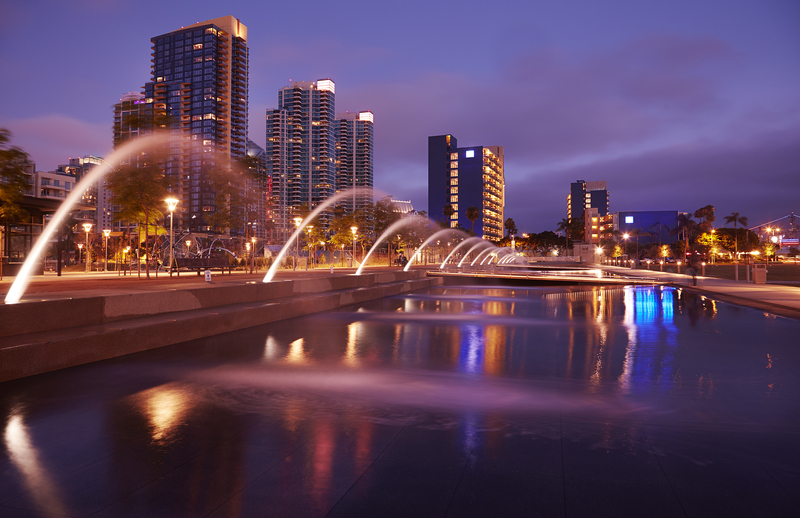 Since 1938, the County Administration Center on the San Diego Bay has welcomed residents and visitors, and the newly constructed Waterfront Park is the most significant waterfront open space in downtown San Diego. The Engineering Excellence Awards recognize outstanding achievements in engineering and land surveying projects completed by California firms. Project entries are accepted into one of 12 project categories. The Honor Award winning projects will have photographic panels on display at the State Capitol, outside of the Governor’s office, in early 2015. For more information and to register for ACEC California’s 2015 Engineering Excellence Awards, click here.